Modern Farmer visits Michelle Bolt and her miniature livestock at Tanglewood Farm in northern Georgia. Michelle Bolt keeps a stuffed buffalo in her living room ”“ a whole one, not just a mounted head. A big buffalo can hit six feet in height and ten in length. An average buffalo weighs 2,000 pounds. Bolt’s taxidermy is tucked neatly next to the sofa where she and her husband watch TV, its back roughly at hip height. Bolt need barely lean to grab a tuft of its matted mane. This tiny buffalo isn’t a trophy, an oddity, or a baby – it’s full-grown. Buffy was Bolt’s friend for most of his life. When Buffy died at the age of 9, she didn’t want to let him go. For Bolt, it’s a memorial and preservation of a tradition that continues just outside her home. 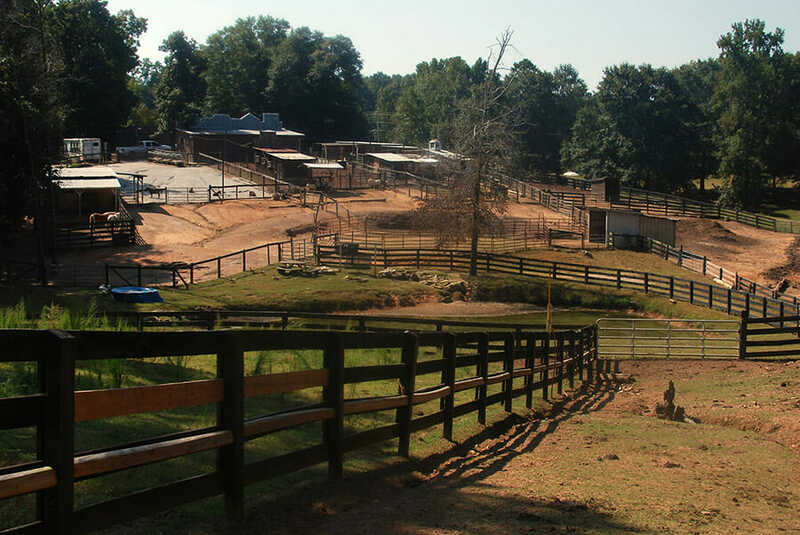 Walk out of that living room onto nine sprawling acres in North Georgia and you’ll see farm animals of all type roaming around pens and pastures – except they’re all miniature versions of their full-size counterparts. Six-hundred-pound Buffy #2, that stuffed buffalo’s sibling, lords over a spacious, fenced patch toward the rear of the land. 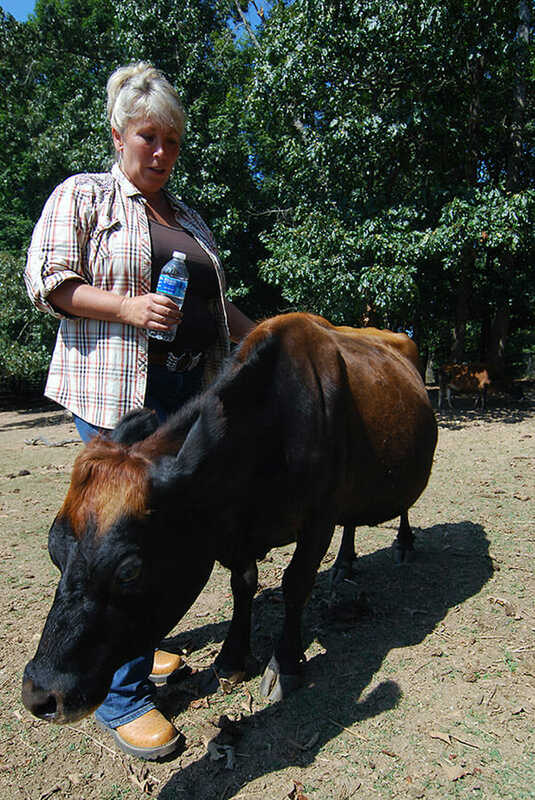 Miniature Jersey cows, under 42 inches and weighing 700 pounds at maximum (a regular Jersey clocks in at almost 2,000), chill under an oak tree canopy one pen over. 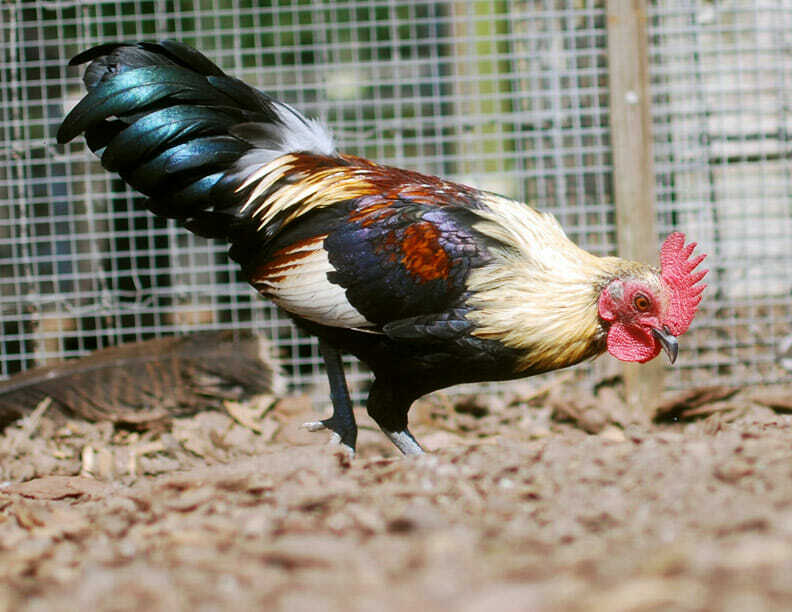 Bantam chickens, just six inches tall, scratch and peck at the hooves of miniature yaks. Welcome to Tanglewood. It’s a world apart from the country clubs and private horse stables that surround it. And it’s a world of Bolt’s making. Some 20 years ago Bolt stumbled upon the clear, rolling acres dotted by an outhouse and barn that would become Tanglewood. She opened Tanglewood in 1994, envisioning it as a place where the animal world and childish wonder could coexist. Horses established her early livestock menagerie, miniature ones so as not to intimidate the children. 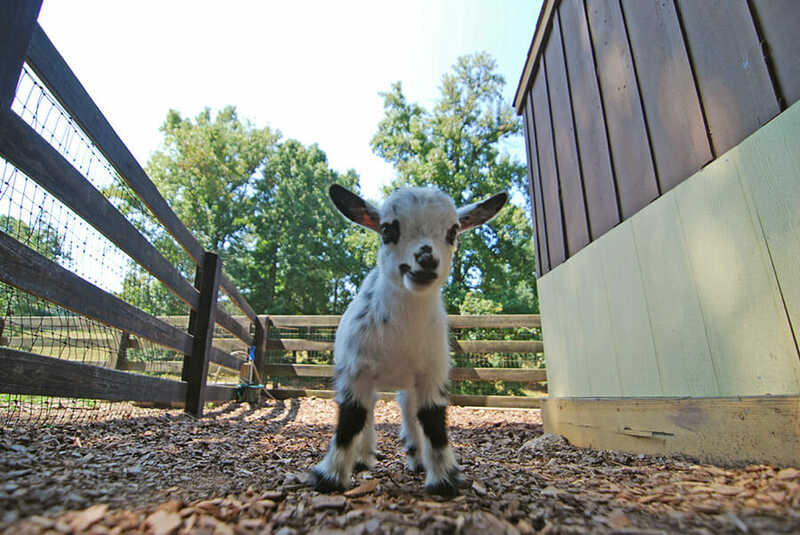 At Tanglewood, Bolt, 50, breeds a dozen or so lines of miniature livestock, shipping the animals to homes as far away as Alaska and the United Kingdom. 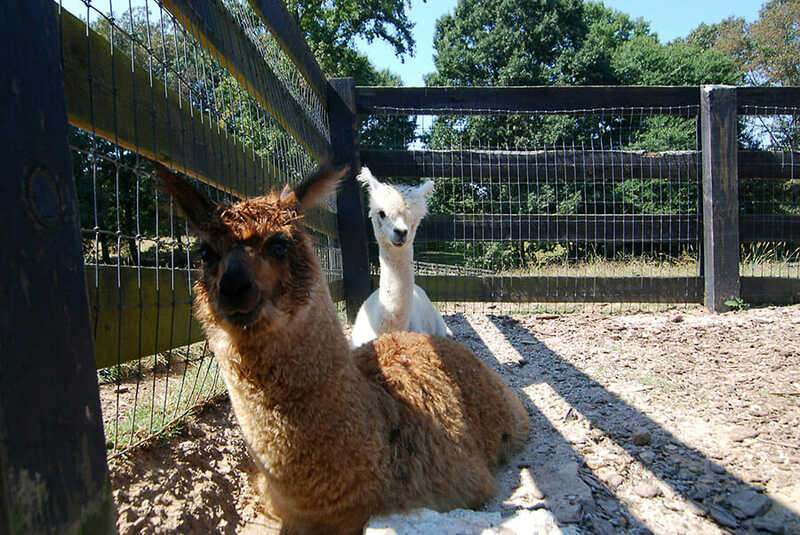 Her mini-alpacas board planes in crates made for Great Danes. Bolt says airline handlers, expecting a dog, always jump when a sound more like a “wark”, rather than a bark, escapes the crate. 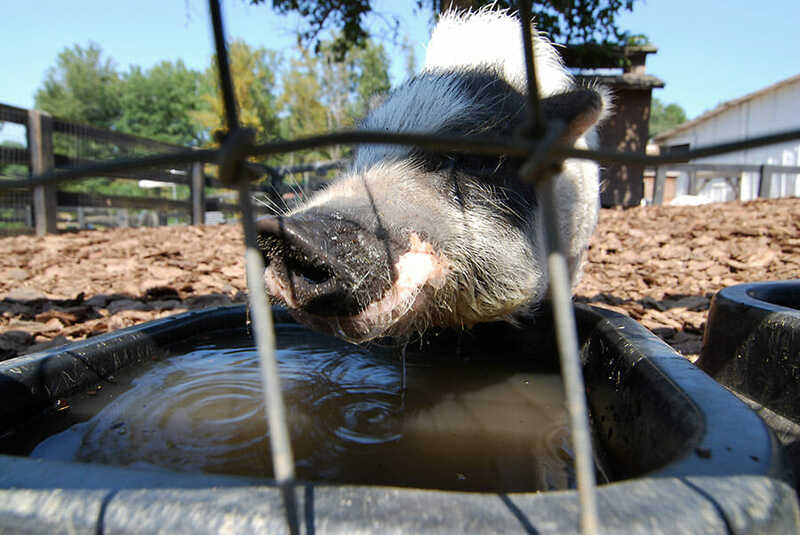 Locally, though, Tanglewood is a popular petting zoo where children fawn over docile Nigerian Dwarf goat babies and harass potbelly pigs at water troughs, overcome with the novelty of towering over animals they usually look up to. Kids aren’t the only ones obsessed – her very miniature horse, Tiny Bubbles, found a cameo in Atlanta-based rap group Outkast’s video for “Ghetto Musick.” Horses, sheep, pigs and dogs from Tanglewood starred in a Neiman Marcus catalogue some years back. Bolt makes a living breeding and modeling her animals. But running the petting zoo, she feels, is also a public service. “I felt I could help impress upon kids a respect for nature,” Bolt says. As land prices have skyrocketed, many view miniature breeds as perfect for tighter acreages, Weaver says. An article in the Los Angeles Times in 2009 reported on meat ranchers shifting their herds to mini Herefords for this reason. The smaller cows need less space for grazing and eat grass, which reduces feed costs, yet produce just about a quarter less meat than its full-size brethren, according to the Times story. 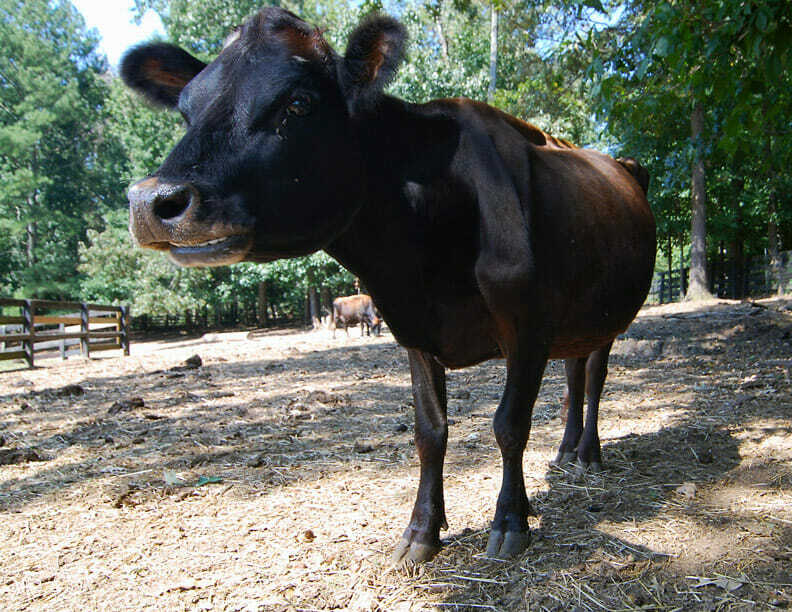 Tanglewood’s 36-inch-tall Jersey cows, Bolt says, produce four gallons of milk a day, only two less gallons than standard-sized cows. Neither Bolt nor Weaver eat the animals they raise, though there’s certainly a market, albeit small (no pun intended), for mini meat. Some may find mini cows too cute to turn into burgers, but as the International Miniature Cattle Breeder Society points out, you can’t keep all the bulls. After all, they do produce high-quality meat, and as the Times story reported, the number of miniature cattle grazing in the U.S. is on the rise. 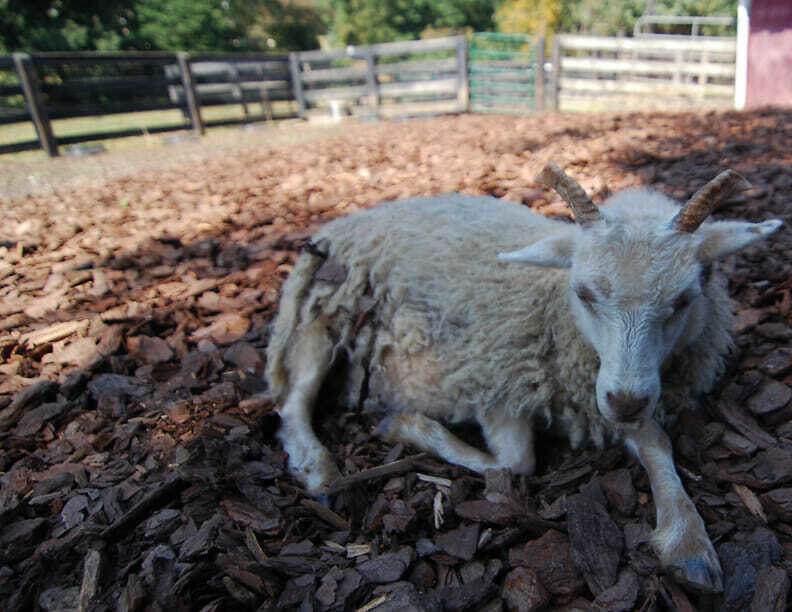 Mini farm animals not headed for a petting zoo or plate may find themselves employed. Some groups use the petite creatures as therapy animals because they transport easily and are the right size to, say, trot down a hospital corridor. “They’re so outgoing and non-threatening to people unused to farm animals,” says Weaver. The national non-profit Pet Partners, which provides animal therapy services to hospitals, schools, nursing homes and other facilities, offers mini llamas and horses along with a standard roster of dogs and cats. 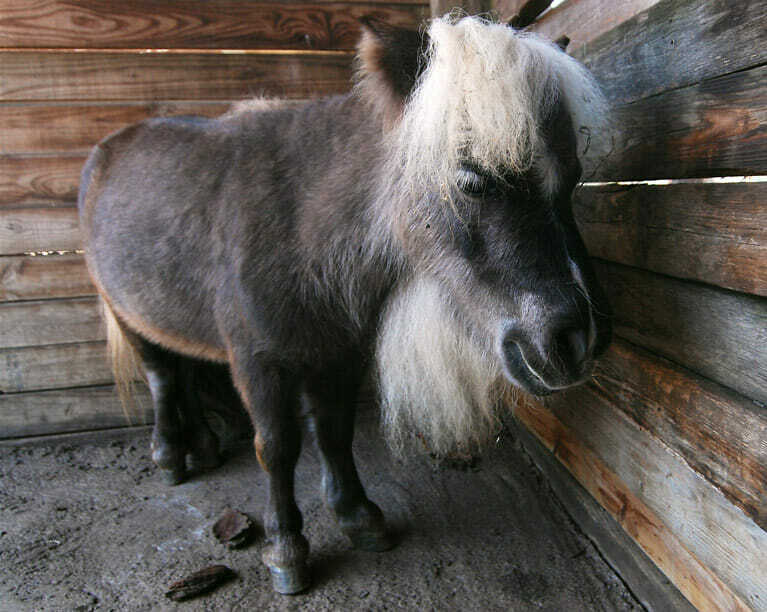 Miniature horses sometimes work as guide animals for the blind, sporting little sneakers to protect their hooves. 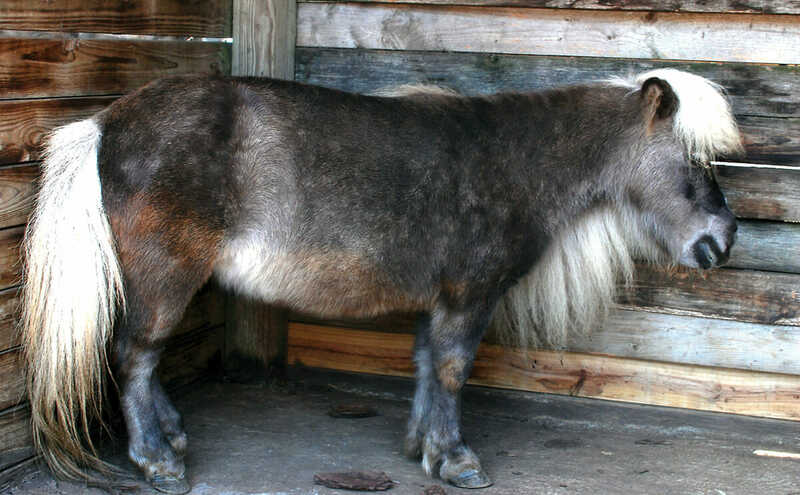 While some miniature breeds were selectively bred to be tiny for novelty or manageability, many of them, including mini Jersey cows, Cheviot sheep and Bolt’s Southdown sheep aren’t really miniature, but original. Before coming to the New World, cows and sheep were much smaller than the feedlot breeds we associate with our hamburgers and milk cartons. Weaver’s Cheviots are the un-improved, old-style Scottish border sheep. Same goes for tiny Bantam chickens, which are said to have originated in Asia. “When Cheviots and Southdowns came to America in the early 1800s, breeders selected for bigger and much leggier sheep,” Weaver says. The end result is that the even though the smaller sheep are truer to the breeds’ origins, the supersized version are more common. But new bloodlines of miniature animals are being bred every year. Take, for instance, a line of cattle called Pandas, so named for the black spots around their eyes and big white stripe down their middles that makes them look like the adorable bear. They’ve only been around a decade, but the arrival of that first calf resulted from careful breeding practices and bloodline monitoring. Keeping the lines alive, and writing new ones, is a labor-intensive task that requires extensive research into the mare and sire’s genetic history. The care that Bolt takes breeding her miniature charges is indicative of her deep love for tiny breeds. It was miniature breeds, Bolt will tell you, that saved her life. Bolt grew up on a ranch in Nebraska along the Missouri River, leading a life many little girls dream of. Her dad started teaching her to ride horses when she was just two years old. 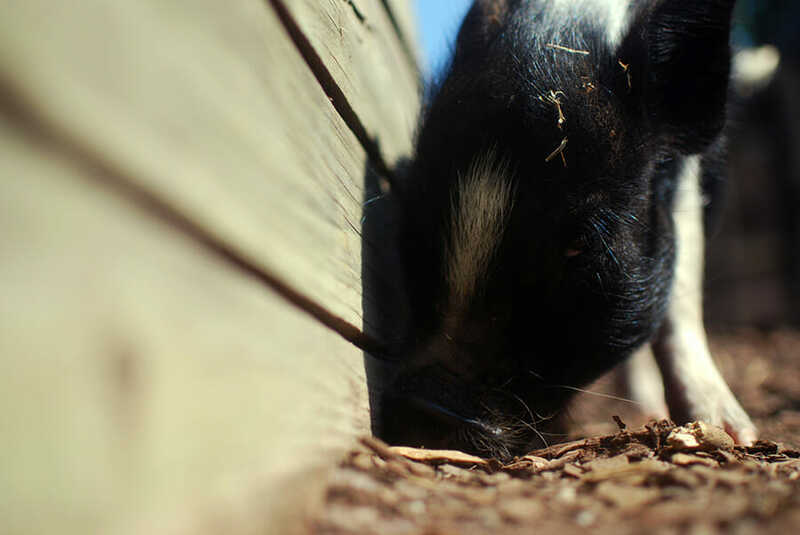 And playing in the barnyard, a mischievous young Bolt would try to ride the cows and pigs, too. But starting in 1991, when Bolt was 28, the bucolic life she knew began to unravel. Her father died suddenly and the farm and all its equipment were sold off. Shortly after that, her mother succumbed to cancer and her sister was killed in a car accident. After the rapid succession of tragedies, Bolt, unmoored, wandered the world. During her travels she encountered small breeds in the remote locations she visited. Their tiny size brought happy memories of her youth, such as riding ponies on the farm, the kind little girls swoon over. From that haze she began to dream of Tanglewood, a place where children could safely interact with animals, a library where she could keep fading breeds safe. Today, there are over 100 small animals roaming Tanglewood, enchanting kids and adults alike. 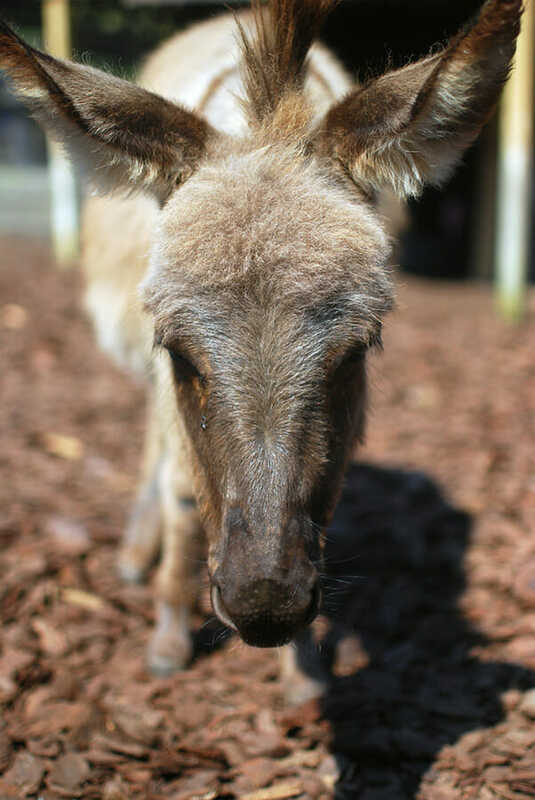 Bolt’s path to Tanglewood was rocky, and her life now, at the helm of a diminutive Noah’s ark, is anything but conventional. But she doesn’t sum it up in any grand terms.